Sprinkled like powdered sugar over the landscape, snow adds a definite sweetness to the outdoors during the winter months. It can magnify and accentuate textures and shapes we may not so easily appreciate in a snowless world. Visually it is striking, especially with its natural propensity to contrast anything darker that it may come into contact with: coniferous branches are particularly susceptible to its beautifying effects, but so are large rocks, tall grasses and ornate manmade structures, like fences and benches. 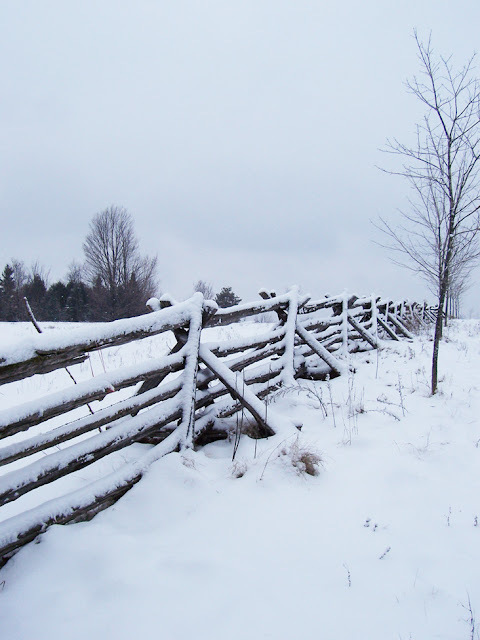 During a recent trip to my hometown in Ottawa, Canada, I took some snaps of the gorgeous winter landscape to share. 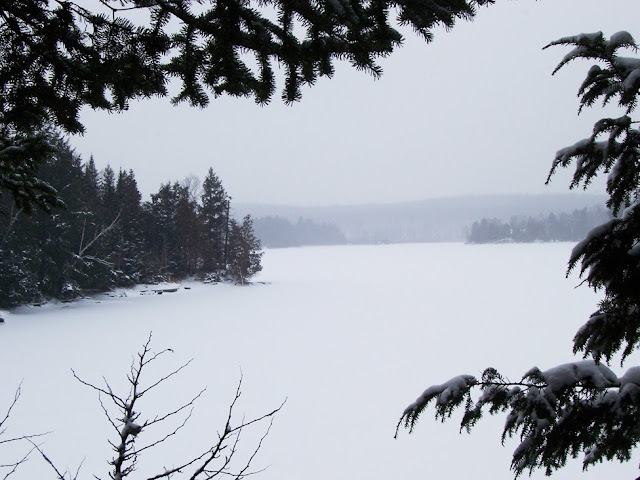 It's my hope that people who live in snowy climes and struggle with the prospect of snowy days may find some charm and loveliness in the fluffy white stuff. 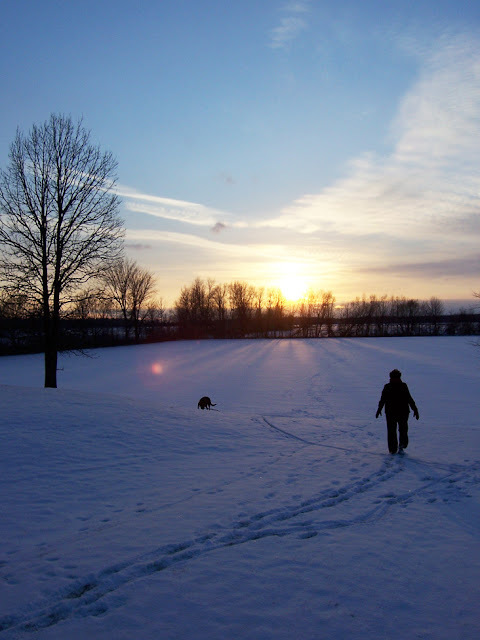 My parents frequently take the opportunity to enjoy the outdoors during the winter months. They are shown above hiking along the road to their cabin. 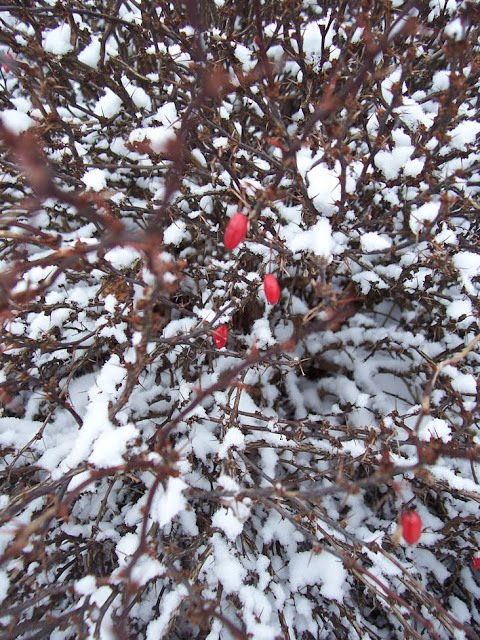 Red berries on this tiny shrub assail the mostly colourless backdrop and pop out at the viewer. Without snow to accentuate them, they may not look quite as enticing. This specimen didn't lose its leaves - and thankfully so! 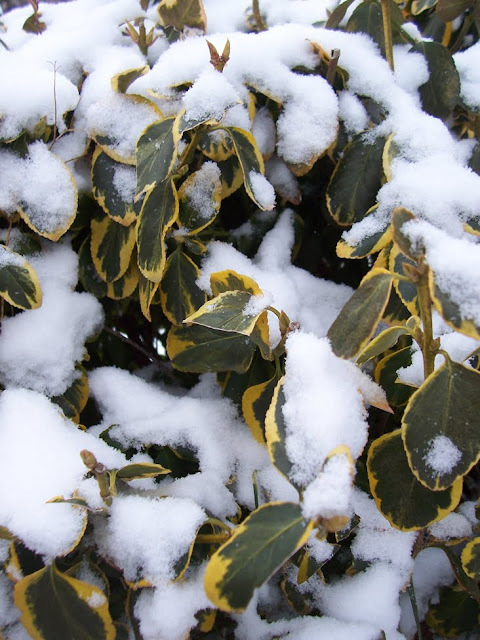 The variegated green patterns look stunning when heaped with a generous helping of snow. 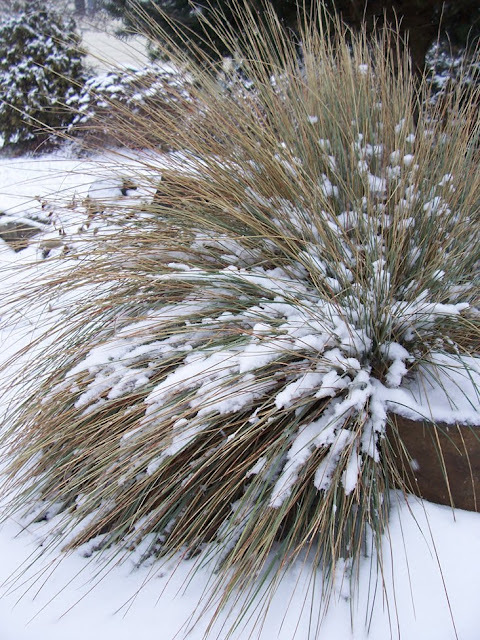 Ornamental grasses, pale and stunted in the winter gloom, take on the effect of fireworks when dappled with a touch of white. 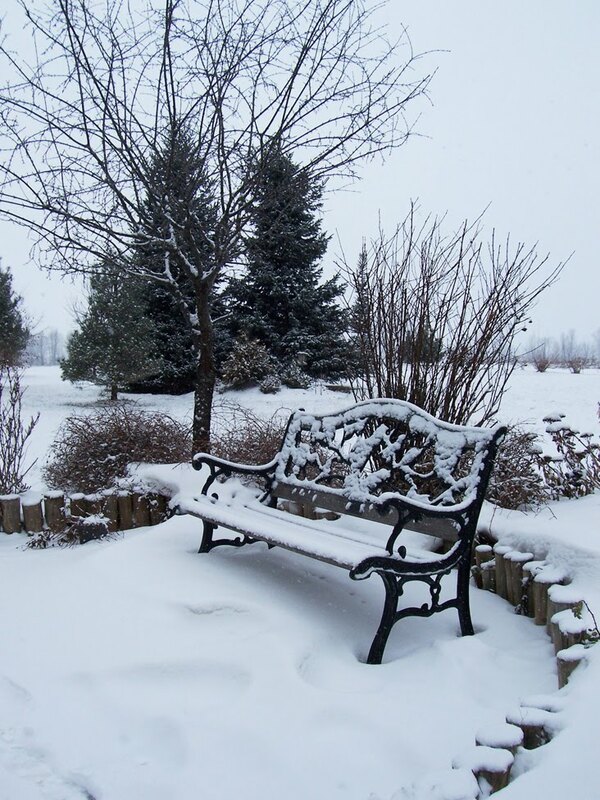 This bench, sitting lonely in my parents' backyard, still retains some element of its romantic charm and magic when shrouded in snow A farmer's old cedar fence in rural Ontario (much like the ones Martha imported from Canada for her farm in Bedford) looks like it belongs on a holiday postcard. A series of coniferous trees - big and small - demonstrate the importance of planting trees with the seasons in mind. 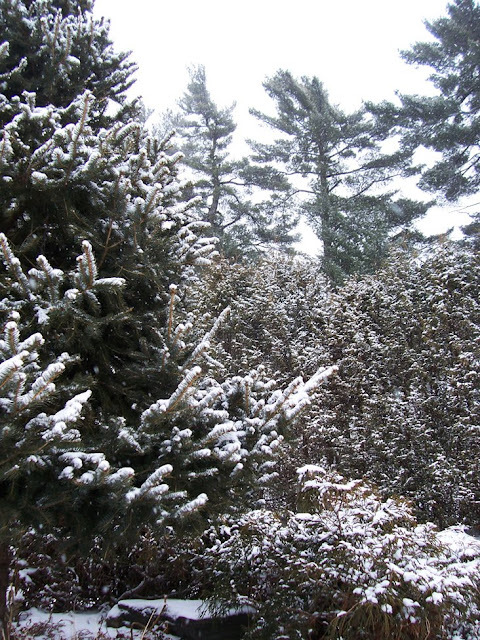 Coniferous trees (such as spruce, pine and cedar) lend depth, weight and structure to a winter landscape. 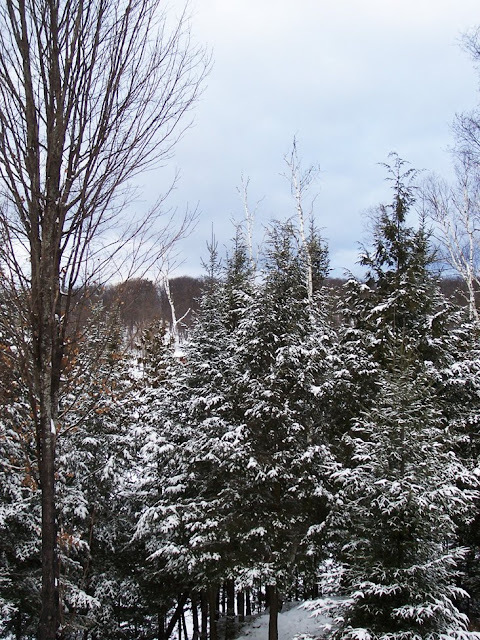 You can see the contrast between the grove of coniferous trees on my parents' property and the somewhat anemic maple, which loses some of its majesty during the winter. Ah, but colour is always there, lying in wait! On sunny, clear days, the snow can take on the colour of the sky - almost reflective in its luminescence. In the image above, my mother escorts her dog Molly through the back field just before sunset. Great post and pictures. I love the snow. I guess because I don't have to live in it. Great Pictures. I love the way snow looks on the trees. the composition of these photos is exquisite, honestly exhibition quality.